Happy Wednesday. 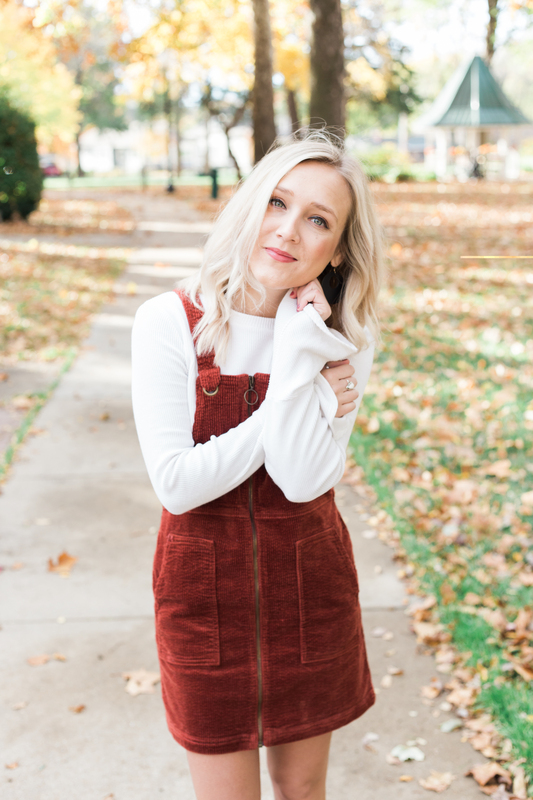 Let’s talk about jumpers real quick and how they are the perfect wardrob staple you can wear to work and on the weekend! To say I am obsessed with jumpers is an understatement. 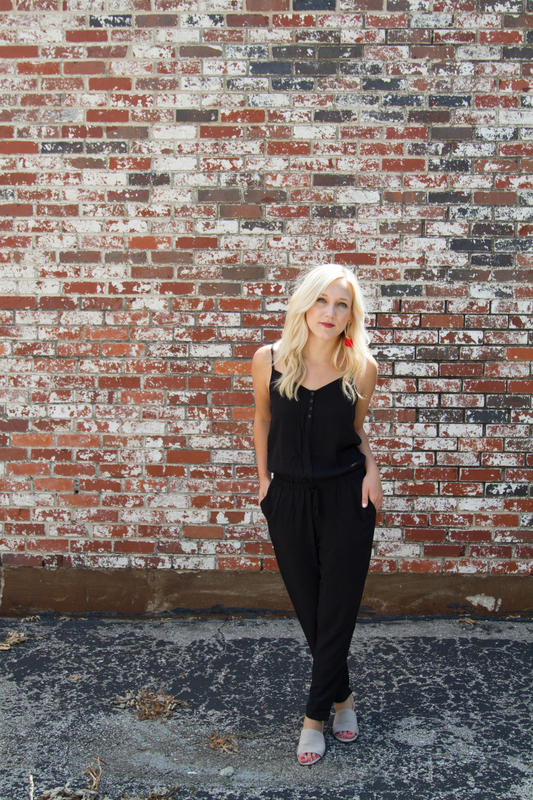 They are perfect to dress up or wear casually, just toss on a sweater or jean jacket for work! 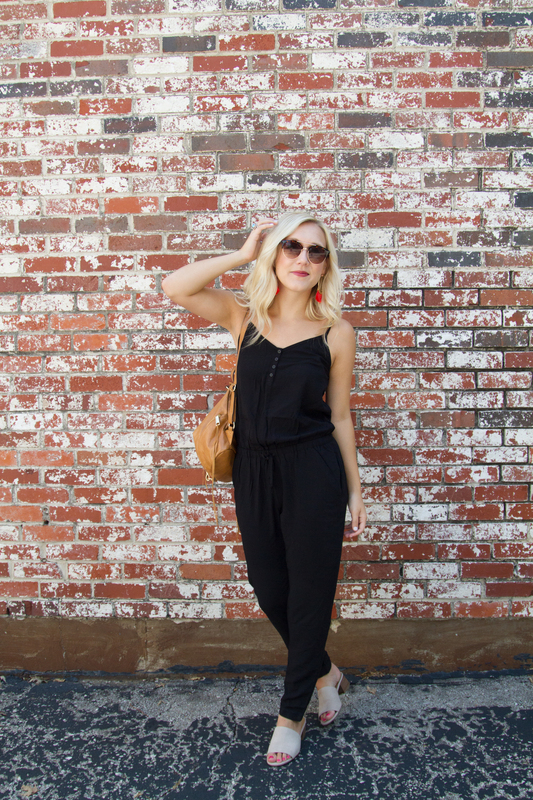 This romper is CURRENTLY on sale! 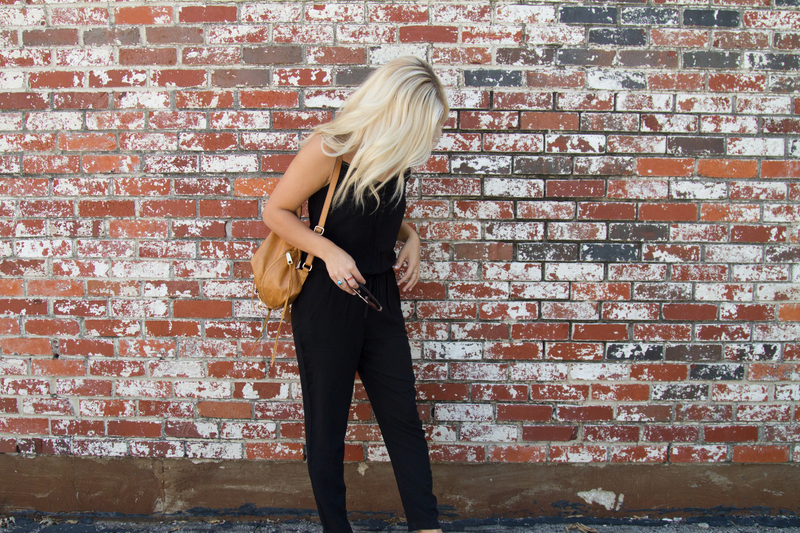 I paired this simple romper with a small heal slip on shoe and this fun bag pack purse. You guys I wear this purse everywhere. I never thought I would use it as much as I do now.